Today, Human Nature’s latest products are already available for purchase! 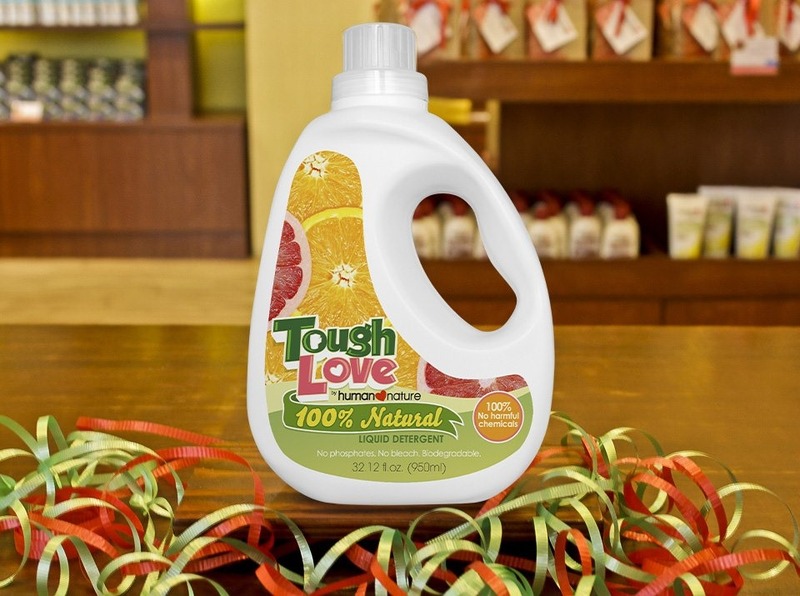 Among its newest Earth-friendly, fair-trade products, is Tough Love – 100% Natural Liquid Detergent! Who says you have to go all softy on your dirty laundry? No way! Be TOUGH where it matters and be LOVING where it counts. Our all-natural liquid laundry detergent makes sure your family’s clothes smell clean & fresh with no harsh chemical residue leftover leaving the fabric kinder to their skin. It’s non-drying on your hands, non-toxic, biodegradable and 100% free from harmful chemicals, keeping you, Mother Earth and her waters happy. Tough on dirt, gentle on the earth!